If you stroll through Philadelphia’s Museum of Arts, you can see all sorts of inspiring and thought-provoking art works. 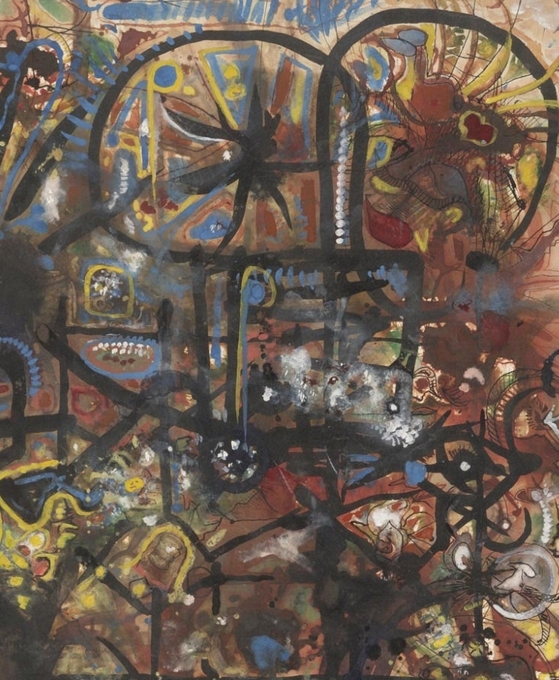 Currently (and all through the month of November), you will be able to see the Works on Paper by Richard Pousette-Dart, the artist who, during the 1940s, was working with the likes of Jackson Pollock. It was in those years of Abstract Expressionism that he created his Garnet Realm. To the blog author, this is so abstract and, at the same time, so expressionistic that she can spot not much of a Garnet. But, instead, this piece seems to have been inspired by bicycles and their parts. I can spot at least three or four (artsy bikes, that is). Partial view of „Garnet Realm“ by Richard Poussette-Dart. You will find a view of the whole piece on Philadelphia Museum of Arts‘ web site (owner of the picture’s copyright, too!). 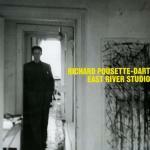 Or, even better, if you happen to be in Philly this month or next, just go to the Museum of Arts and look at the whole Pousette-Dart exhibition currently on display there.